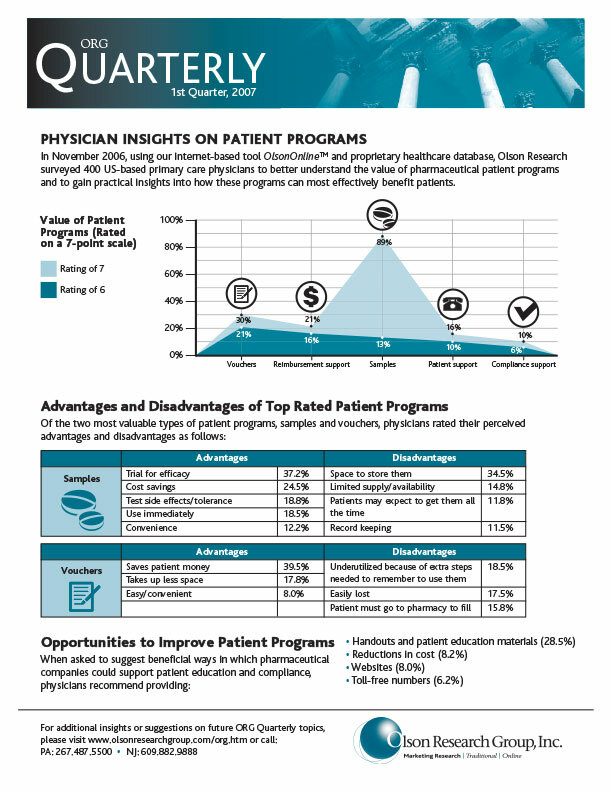 In September 2010, using our internet-based tool OlsonOnline™ and proprietary healthcare database, Olson Research surveyed more than 800 US-based primary care physicians (46%), obstetrician/gynecologists (16%), pediatricians (15%), endocrinologists (9%), cardiologists (8%), and oncologists (6%) about how they use electronic medical records in their clinical practice. 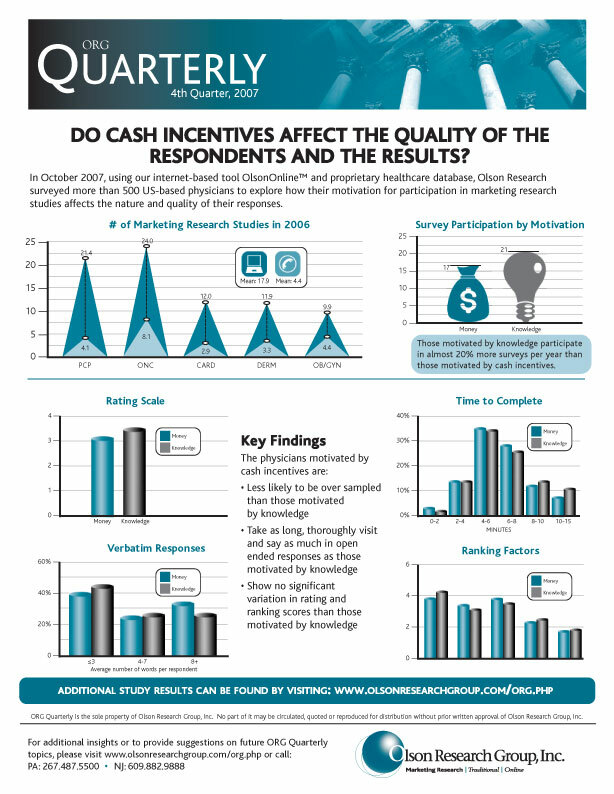 into how market researchers can make participating in these studies more enjoyable. 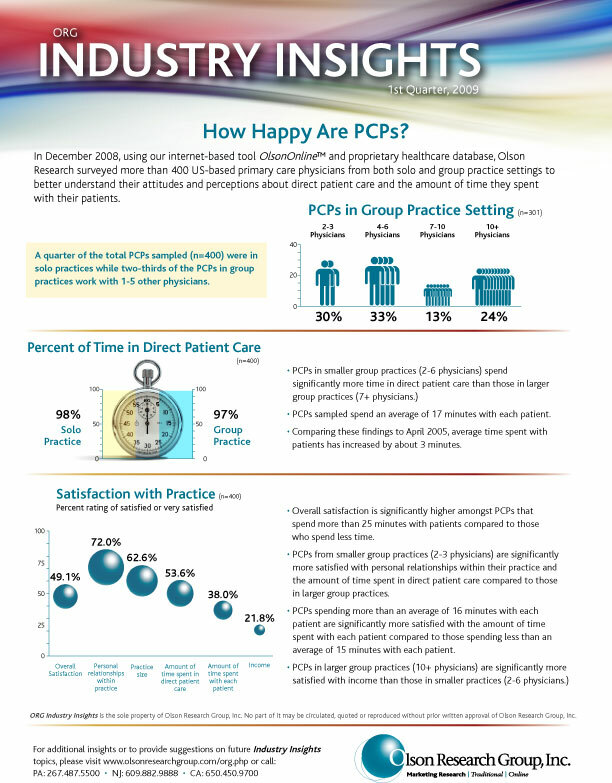 In December 2008, using our internet-based tool OlsonOnline™ and proprietary healthcare database, Olson Research surveyed more than 400 US-based primary care physicians from both solo and group practice settings to better understand their attitudes and perceptions about direct patient care and the amount of time they spent with their patients. 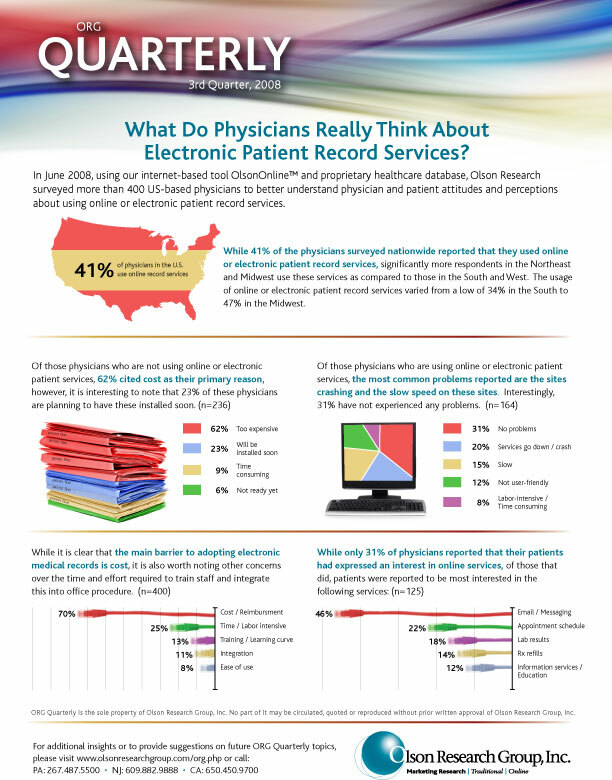 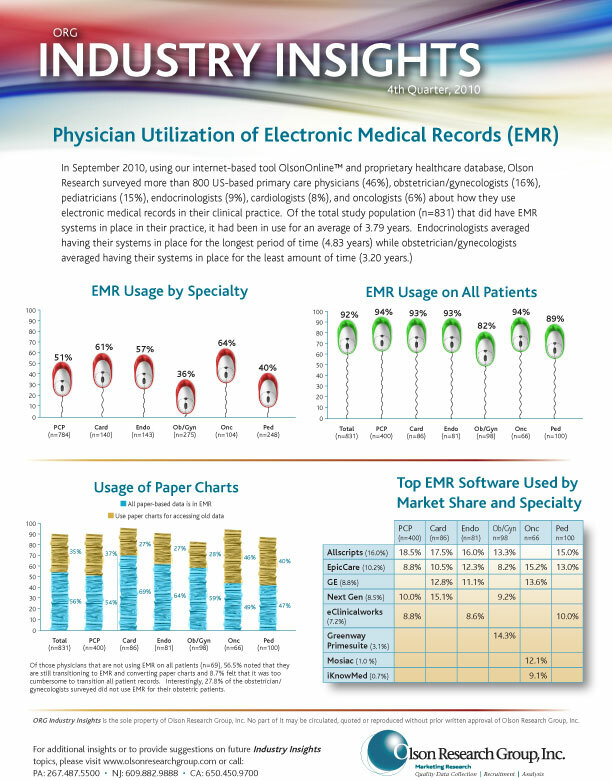 In June 2008, using our internet-based tool OlsonOnline™ and proprietary healthcare database, Olson Research surveyed more than 400 US-based physicians to better understand physician and patient attitudes and perceptions about using online or electronic patient record services. 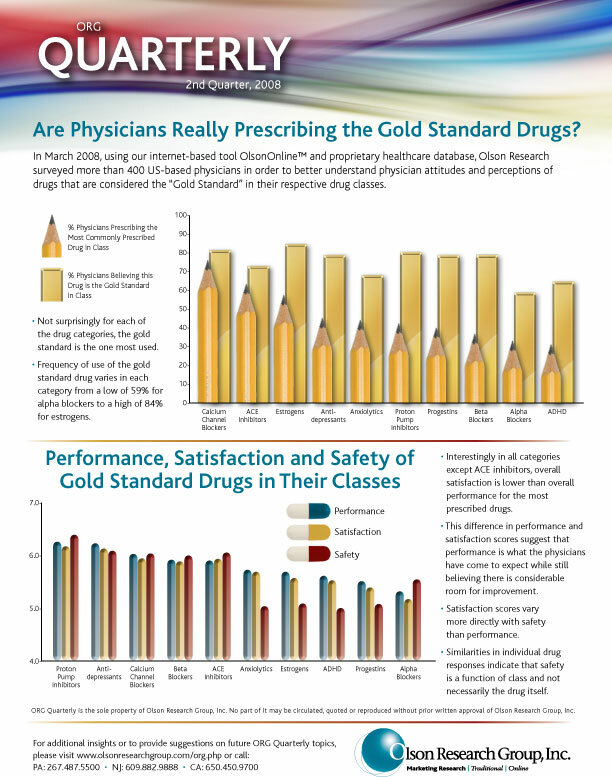 In March 2008, using our internet-based tool OlsonOnline™ and proprietary healthcare database, Olson Research surveyed more than 400 US-based physicians in order to better understand physician attitudes and perceptions of drugs that are considered the “Gold Standard” in their respective drug classes. 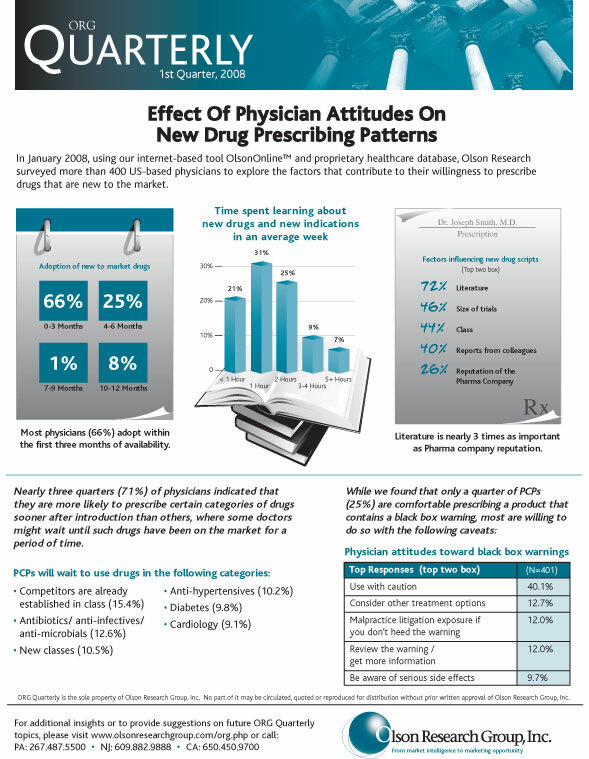 In January 2008, using our internet-based tool OlsonOnline™ and proprietary healthcare database, Olson Research surveyed more than 400 US-based physicians to explore the factors that contribute to their willingness to prescribe drugs that are new to the market. 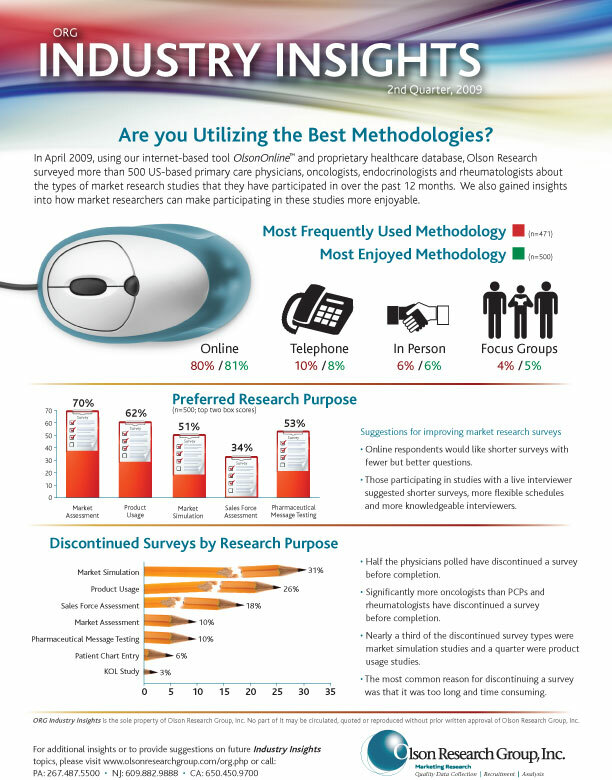 In October 2007, using our internet-based tool OlsonOnline™ and proprietary healthcare database, Olson Research surveyed more than 500 US-based physicians to explore how their motivation for participation in marketing research studies affects the nature and quality of their responses. 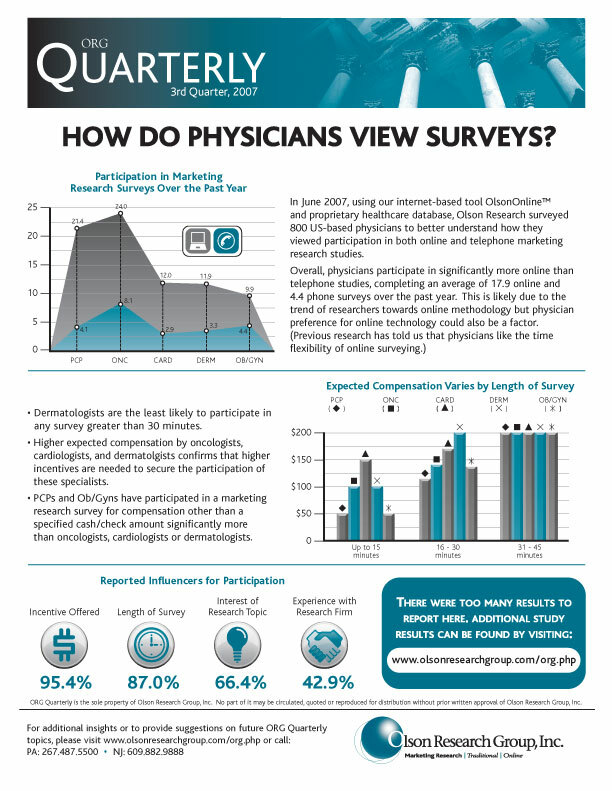 In June 2007, using our internet-based tool OlsonOnline™ and proprietary healthcare database, Olson Research surveyed 800 US-based physicians to better understand how they viewed participation in both online and telephone marketing research studies. 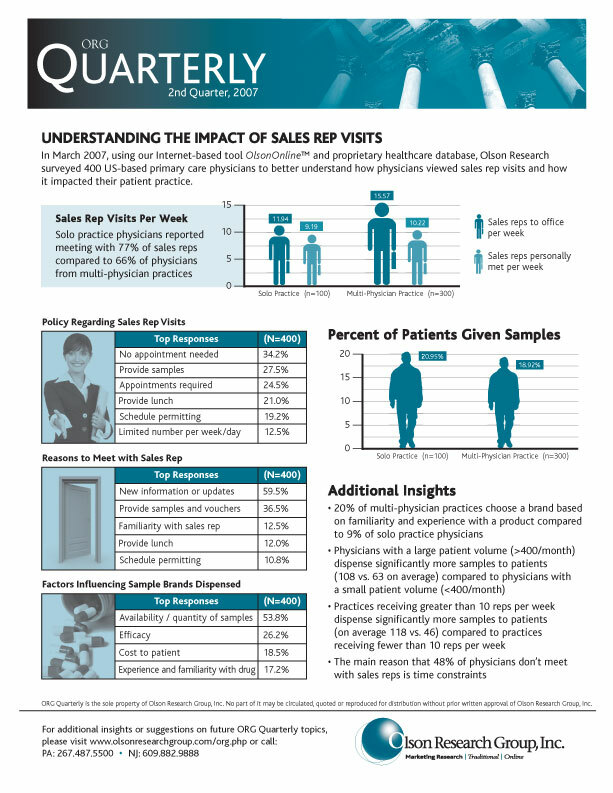 In March 2007, using our Internet-based tool OlsonOnline™ and proprietary healthcare database, Olson Research surveyed 400 US-based primary care physicians to better understand how physicians viewed sales rep visits and how it impacted their patient practice.